Our most versatile and successful pen family of recent years is Fortuna, which has provided us with a perfect “canvas” for expressing all manner of moods and emotions. 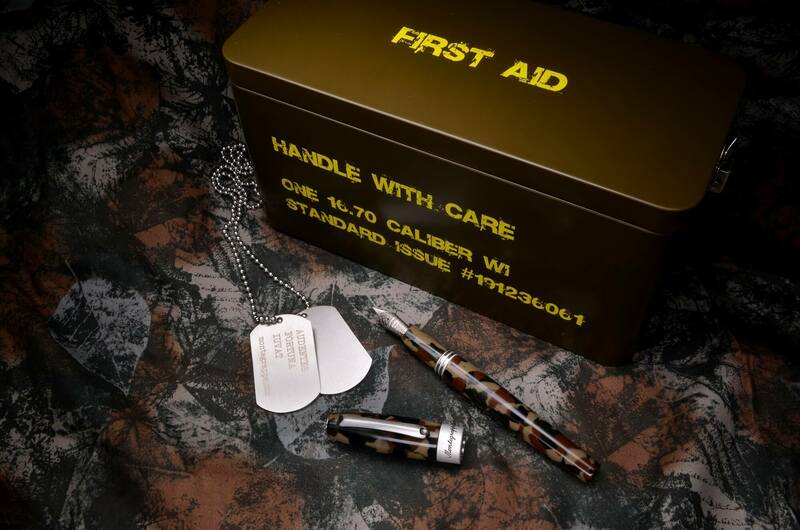 With combat boots, cargo trousers, military wristwatches, aviator sunglasses, NATO-style watch straps, tattoos and other elements of the world’s services appealing to civilians, we figured, why not a pen? And why not dress it up in its own fatigues? See the Camouflage brochure here.